Easter Breakfast - Made It. Ate It. Loved It. 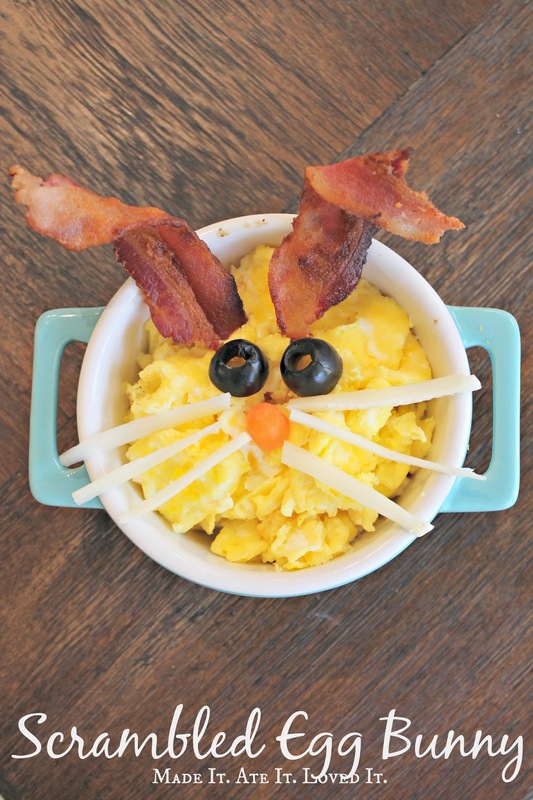 Easter Breakfast has always been a fun one in our house. But lets be honest really any reason to celebrate is a good day in our home. I was raised by a mom who made every holiday special and elaborate. I know not everyone agrees with that and some call it lavish and over the top. But I have very fond memories on each and every holiday growing up! And I have my mom to thank for that. So through out the years I have tried to transform my home to the home that I grew up in. Making each and every holiday something very special for my husband and my kids. 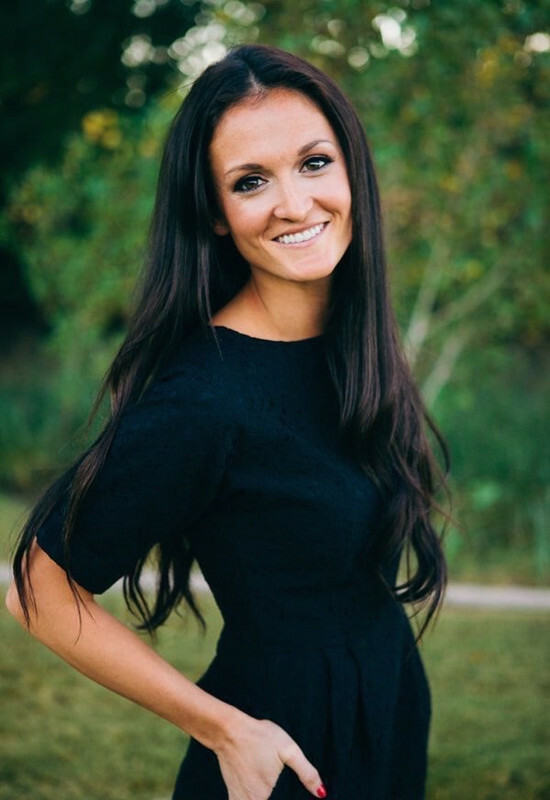 When I started to think about Easter morning in our home many ideas ran through my mind. 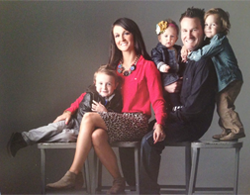 I have been lucky enough to work with Zaycon products the last few months and we have been abolsutely blown away. I can’t even count the number of people I have talked to about their wonderful products. I would say that we have Zaycon products atleast 4 times a week. If not more. We LOOOVE them! 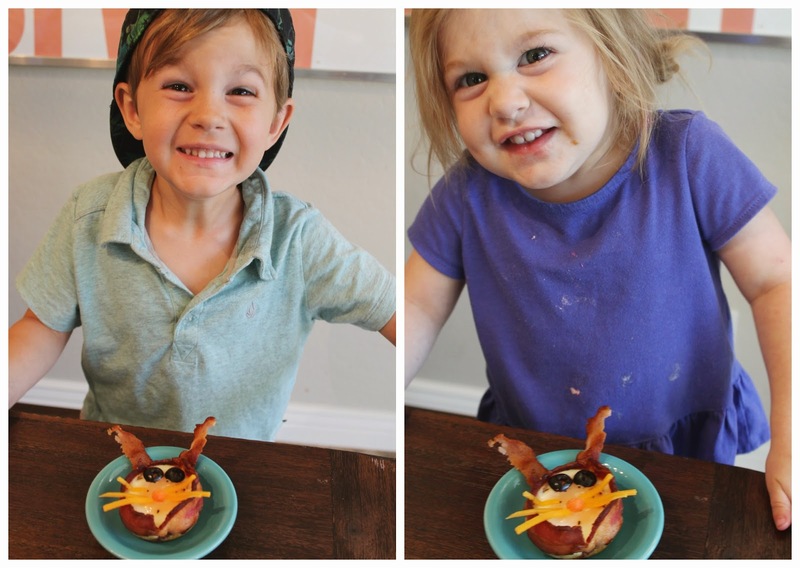 So anyways back to breakfast…I have been cooking up my Zaycon bacon way too much lately and decided that I would share some fun breakfast ideas that involve the beloved BACON. 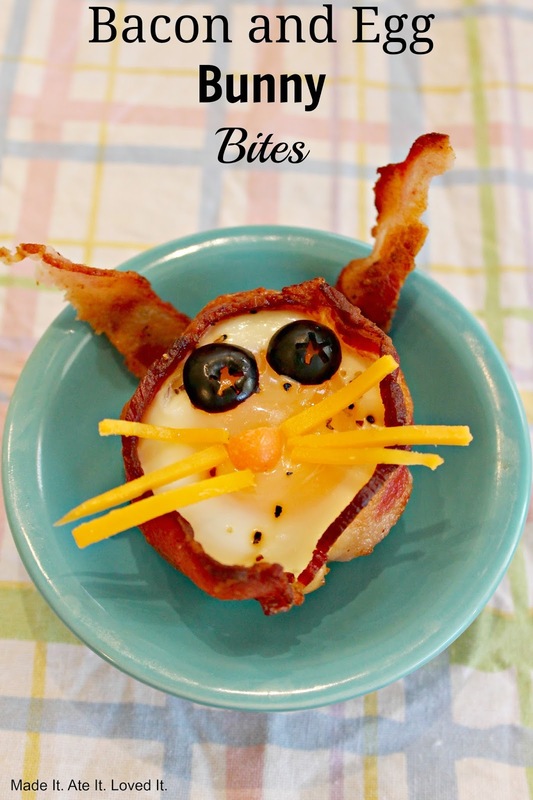 Each have a little different twist on them, but they are all fun Easter Breakfast ideas that are VERY easy too! And that is how breakfast should be! Fun and Easy! Preheat oven to 350 degrees F and grab muffins tins and spray them with cooking spray. Take the english muffins and slice in half. Grab a cookie cutter (I used a 1 7/8 inch circle cookie cutter) or the bottom of a glass and cut as many muffin circles as you need. Place in the bottom of the muffin tin. Grab the slightly undercooked bacon and wrap it around the muffin tin. Crack an egg in the center and season with salt and pepper. Cook in the oven for 20 minutes. 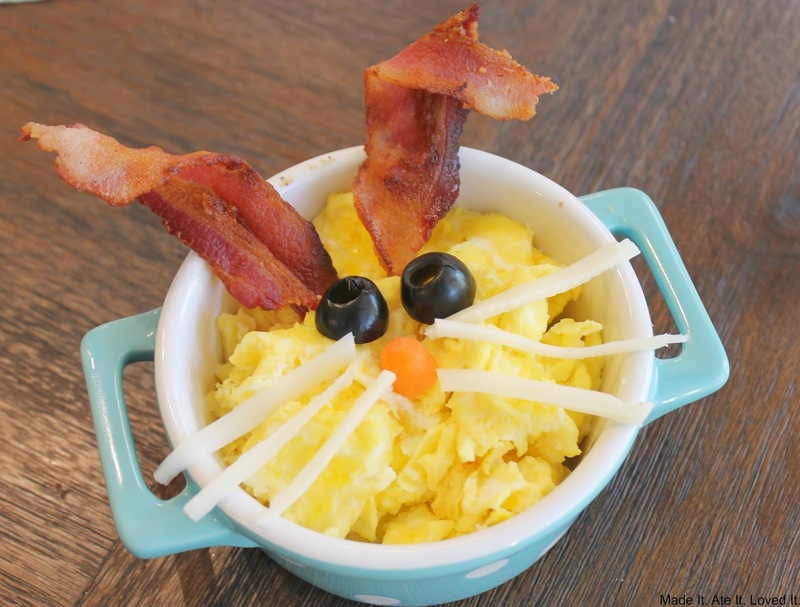 When they come out slice up some cheese for the whiskers and place to small pieces of bacon for the bunny ears, two olives or blueberries or anything place for the eyes, use a cut up carrot or tomato or raspberry for the nose and then place the whiskers next to the nose to create a bunny. Take a smaller pancake and put down for the head. Then a larger pancake for the body. 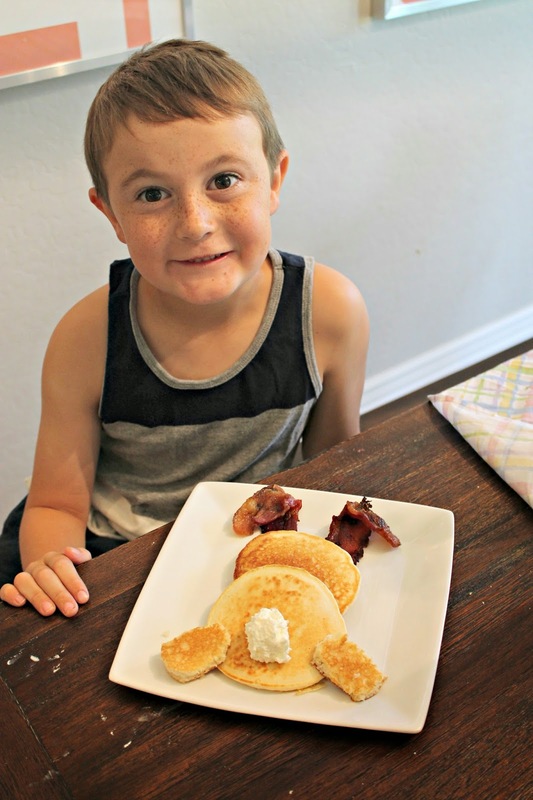 Grab 2 small pancakes and shape them into ovals or make small oval pancakes. Add a dollop of whipped cream for the tail. And top it off with two slices of thick Zaycon bacon for the ears. Fold over the top a little to look more like floppy ears. Scramble up some eggs and place on a plate or in a small bowl. Add slices of Zaycon Bacon for the ears. Provolone cheese for the whiskers. A carrot for the nose and some olives for the eyes. 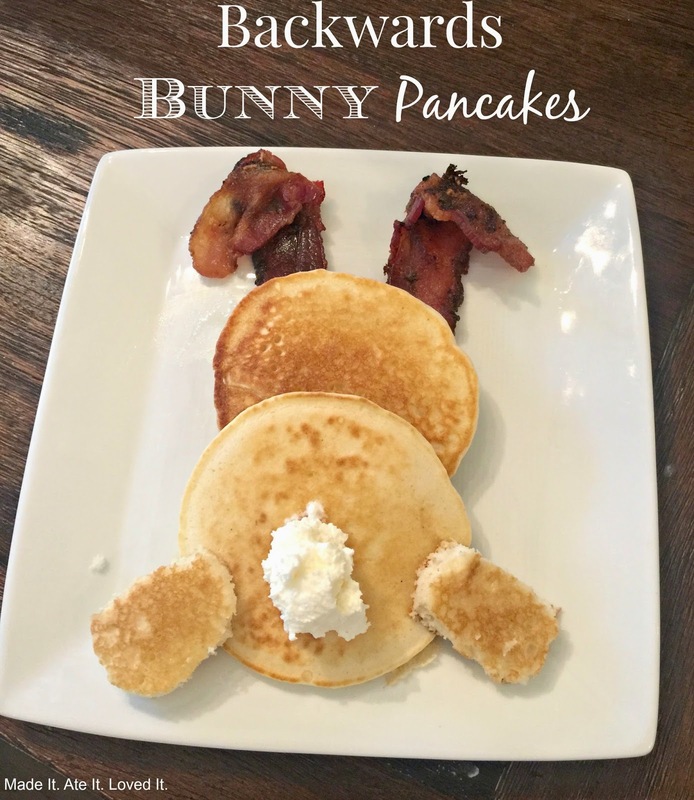 Make your favorite pancake mix or recipe and grab some easter pancake molds. Spray the molds well and make them on a hot skillet. Flip over and butter and serve with fresh fruit. Zaycon bacon and Buttermilk Syrup. 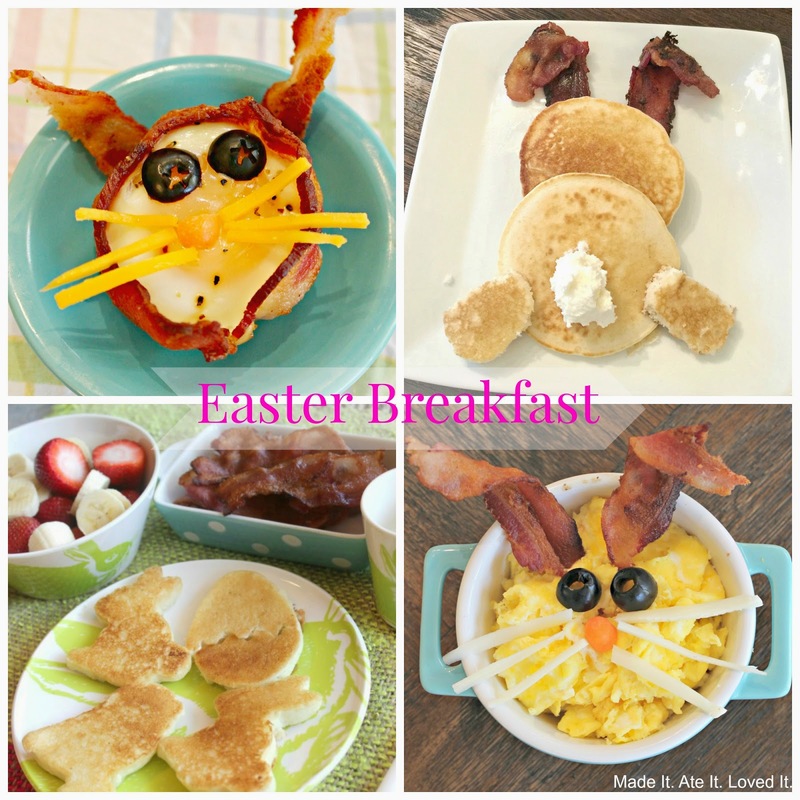 Hopefully I have inspired you to make a fun breakfast for you and your loved ones on Easter Morning! *Disclosure: This post was sponsored by Zaycon foods. However all thoughts, opinions, and recipes are my own!